Prof. Richard M. Osgood, Jr., Higgins Professor of Electrical Engineering and Professor of Applied Physics, recently graduated his 50th doctoral student. 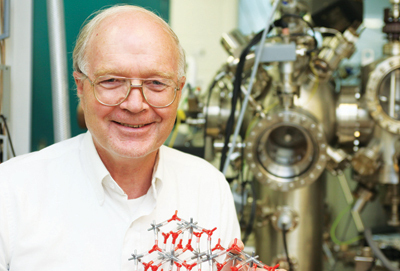 This major milestone hallmarks Prof. Osgood’s stellar and distinguished career. His latest graduate, Dr. Avishai Ofan, was an applied physics student who recently deposited his Ph.D. dissertation titled “Physics of Heavily Implanted Single Crystal Complex Oxides”. He will soon be working as a postdoctoral scientist at Brookhaven National Laboratory.